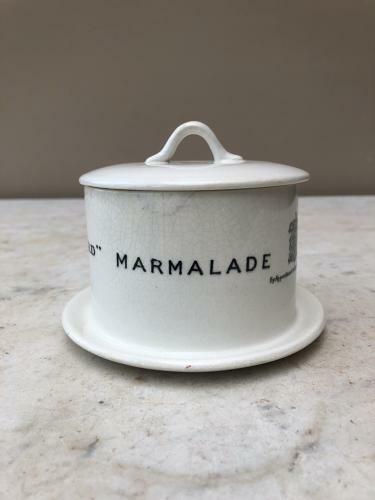 A rare Edwardian MARMALADE dish made by Maling. Advertises FRANK COOPER LTD - By appointment to His Majesty the King. All good, there is age crazing as expected. Above the R of Marmalade on the top rim there is either a glazing fault or a repair but it doesnt show in the inside.